What do you say when one of your first-years has a chance of playing in the Women’s World Cup? We are thrilled for Victoria Huxtable, ’22, and oh-so-proud of her for being invited to join the Jamaican Women's National team for training camp this month. Huxtable has started all 18 games this year as a defender for the Spiders, and will find out in March if she will head to the 2019 World Cup in France. 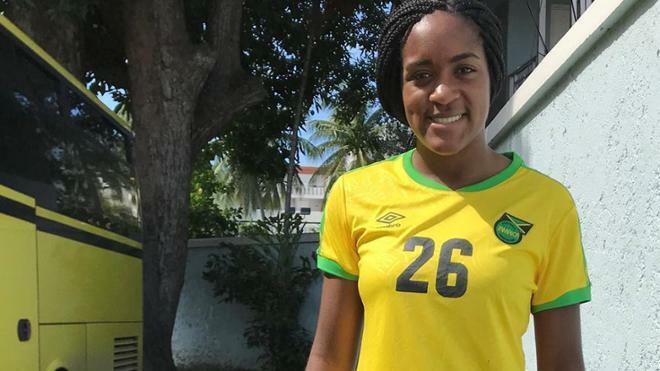 She was one of 12 newcomers among 33 players in the training camp held in Kingston and Montego Bay. "It was an amazing opportunity to train with experienced mature players from different parts of the world," Huxtable said. "I learned the importance of stepping out of my comfort zone and playing with intensity, composure, and focus. Being invited to this camp inspired me to push myself and put forth my best effort regardless of the outcome." Congratulations, Victoria! We can’t wait to see what your future holds.